What Happens if the Dealer Misdeals or Makes a Mistake? - Casino Answers! 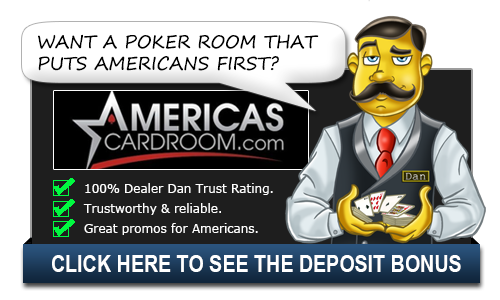 Casino Answers » Poker » Poker Dealers » What Happens if the Dealer Misdeals or Makes a Mistake? What Happens if the Dealer Misdeals or Makes a Mistake? A misdeal in poker can end up quite costly. It’s important to know what to do in this situation, especially in a home game situation where arguments could occur. It is best to be completely clear on what to do in this situation and how it should be handled. 1. If the first or second holecard dealt is exposed, a misdeal results. The dealer will retrieve the card, reshuffle, and recut the cards. If any other holecard is exposed due to a dealer error, the deal continues. The exposed card may not be kept. After completing the hand, the dealer replaces the card with the top card on the deck, and the exposed card is then used for the burncard. If more than one holecard is exposed, this is a misdeal and there must be a redeal. 2. If the dealer mistakenly deals the first player an extra card (after all players have received their starting hands), the card will be returned to the deck and used for the burncard. If the dealer mistakenly deals more than one extra card, it is a misdeal. 4. If before dealing the flop, the dealer failed to burn a card, or burned two cards, the error should be rectified if no cards were exposed. The deck must be reshuffled if any cards were exposed. 5. If the dealer fails to burn a card or burns more than one card, the error should be corrected if discovered before betting action has started for that round. Once action has been taken on a boardcard, the card must stand. Whether the error is able to be corrected or not, subsequent cards dealt should be those that would have come if no error had occurred. For example, if two cards were burned, one of the cards should be put back on the deck and used for the burncard on the next round. If there was no betting on a round because a player was all-in, the error should be corrected if discovered before the pot has been awarded. 6. If the dealer burns and turns before a betting round is complete, the card(s) may not be used, even if subsequent players elect to fold. Nobody has an option of accepting or rejecting the card. The betting is then completed, and the error rectified in the prescribed manner for that situation. 7. If the flop needs to be redealt for any reason, the boardcards are mixed with the remainder of the deck. The burncard remains on the table. After shuffling, the dealer cuts the deck and deals a new flop without burning a card. 8. A dealing error for the fourth boardcard is rectified in a manner to least influence the identity of the boardcards that would have been used without the error. The dealer burns and deals what would have been the fifth card in the fourth card’s place. After this round of betting, the dealer reshuffles the deck, including the card that was taken out of play, but not including the burncards or discards. The dealer then cuts the deck and deals the final card without burning a card. If the fifth card is turned up prematurely, the deck is reshuffled and dealt in the same manner. Casinos will follow this same basic rules so if you are curious about what would happen there, just check above. Dealers work hard and deal tons of hands in a night so mistakes are bound to happen. We are all only human after all. Understanding that mistakes happen and moving on from them is key.